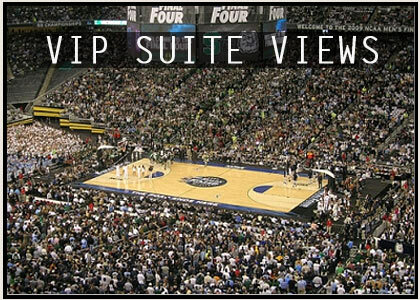 Your use of this website, FinalFourSuites.com, is governed by the terms and conditions set forth herein. By using this website, you agree to comply with, and to be bound by, these terms and conditions. If you do not agree to these terms and conditions, you should exit from this website now. FinalFourSuites.com reserves the right to change this website as well as these terms and conditions at any time without notice by posting such changes to this website. FinalFourSuites.com provides this website and content "as is" and without any representation or warranty; express, implied, or statutory. FinalFourSuites.com specifically disclaims any implied warranties of title, fitness for a particular purpose, merchantability, and non-infringement. 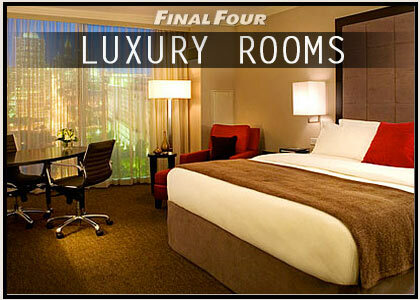 Without limit, FinalFourSuites.com does not represent or warrant that this website will be available without interruption or that this website, any content from this website, or the server that makes this website available is free from errors, defects, design flaws, omissions, viruses, or other harmful components. Use this website at your own risk. Certain states do not allow the disclaimer of implied warranties, in which case, portions of this disclaimer may not apply. In no event will FinalFourSuites.com or any of its affiliates be liable, whether in contract, warranty, tort (including negligence, whether active, passive, or imputed), product liability, strict liability, or any other damages (including, but not limited to, any direct, indirect, incidental, special, exemplary, punitive, or consequential damages), arising out of, or in connection with, any use of, the inability to use, or the results of use of this website or its content, even if FinalFourSuites.com has been advised of the possibility of such damages. Some jurisdictions prohibit the exclusion or limitation of liability for consequential or incidental damages, in which case portions of this limitation may not apply. In no event will FinalFourSuites.com be liable or responsible for any errors or omissions in the content of this website, including, without limitation, errors in pricing or availability of services and products, or damages that may result from misrepresentation of age by a user of this website. For your information and convenience, this site provides links to third-party websites which, when clicked, will open in a new browser window. While we have taken great care in screening all external links on this site, we do not control those sites or their privacy practices. FinalFourSuites.com does not endorse or make any representation about third party websites. Please contact us for a great deal on your best ticket and sky box suite options.